When Heledd's father, a revered Welsh nationalist poet, dies she has to move to Oxford to live with her mother and stepfamily. The transition is painful; Heledd is still grieving for her father and is thrust into a new environment that she finds culturally strange and isolating. She yearns to return to Craig Wen. Heledd's thoughts and feelings focalise the narrative and she strives to understand her father's advice: 'lose your life in order to gain it.' What does this mean? Is it possible to embrace the future but remain in touch with the past? 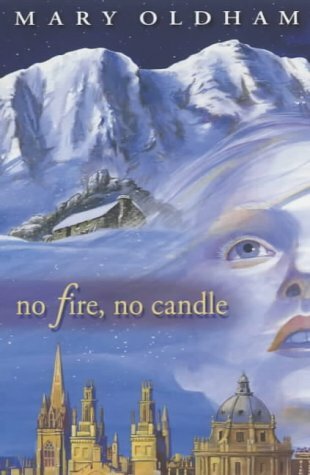 No Fire, No Candle provides a perspective on political as well as personal struggle, suggesting that heroism may be motivated by individual need and desire. In his last poem Heledd's father quotes from T E Lawrence: 'I loved you, so I drew these tides of men into my hands and wrote my will across the sky in stars.' In this reflective novel the central character is complex and well-rounded but it is difficult to sustain interest in the many supporting characters.